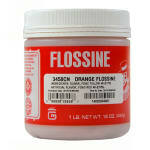 A blend of sugar in the Gold Medal 3458CN O-Jay Flossine® gives cotton candy an orange flavor, aroma, and appearance. It also improves the texture of the product, so it is a staple in arenas and stadiums. Flossine comes in a 1-pound container and should be added in 1- to 2-tablespoon portions to 10 pounds of cane or beet sugar. 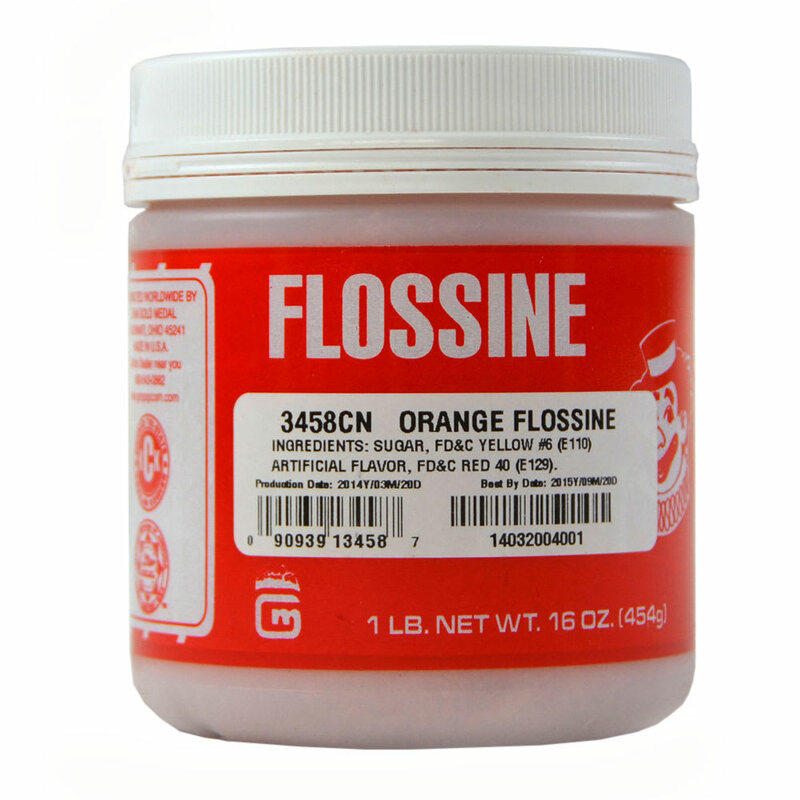 "I was disappointed when I received this container of flossine. I ordered a total of 4 different flavors & this one should have NEVER been put wit..."
"I was disappointed when I received this container of flossine. I ordered a total of 4 different flavors & this one should have NEVER been put with my order. It was all over the container & box that it arrived in. The QA department should probably reconsider some things before shipping them out. Another thing I noticed is that while the label reads that it is 16 ounces like all the other containers it is noticeably smaller than the others. The circumference is the same as the others so I'm not exactly sure how it is the same amount as all the others. I didn't send it back only because I had a function that I needed it for & didn't have time to reorder."